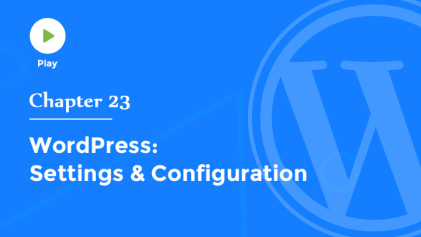 We're almost finished with our tour of the WordPress Administration Area, but let's take a look at some of the tools that WordPress provides to help you manage your site. Press This is a handy tool that makes it easy to blog about something you come across on the web. You can use it to grab text snippets, images, and videos from other sites and then use them to create a post on your own site. To install this tool, simply drag the Press This bookmarklet into your bookmarks bar to create a shortcut. Or, if you prefer, you can copy the code snippet and then create a new bookmark. If you’re on a mobile device, just click the button to Open Press This, then add it to your bookmarks or home screen. Then, when you're browsing the web and find something interesting you'd like to include on your blog, like this article about putting Coyote's physics to the test, simply highlight a bit of text, and click the Press This bookmark. WordPress will launch a mini-editor, containing the title of the page, the description or excerpt you highlighted, and a link to the full version of the article on the original author's website. Remember to always give proper credit to the original author. And never use this tool to simply copy entire articles for use on your own site. If there are images included in the original page, they’ll appear here, and you can insert them into your post. Or, click the Media button in the lower left corner to insert media from your own site. Before you publish, choose a Post Format if your theme supports them. Then, assign the post to one or more categories. And finally, add tags, if you like. When you’re happy with your post, you can Save a Draft for later editing, Preview what the post will look like when it’s published on your site, or simply Publish it to your site now. There is also a Category and Tags conversion tool, which, like the name implies, will convert all your categories into tags, or vice versa. But it's a good idea to leave this alone unless you really have a good reason to do this, which is why this tool isn’t installed by default. Instead, it takes you to the Import screen, where it can be installed. WordPress also includes a number of other import tools that make it easy to import blog posts and content from other blogging systems, like Blogger, LiveJournal, an RSS feed, Tumblr, or another installation of WordPress. To use these, first install the import tool for the system or service that applies. Then, follow the instructions to begin importing your content. And last, the Export tool will create an XML archive for you to save to your computer that contains all your posts, pages, comments, custom fields, menus, and more. Or, if you prefer, you can limit the export to just your Posts, even choosing from specific categories, authors, or other criteria. You can also export just the Pages from your site or uploaded Media. You can use this tool to create a backup of your site content, or to migrate your site to another WordPress installation. This is one of the easiest ways to backup your content, which is obviously very important, but it doesn’t backup your actual theme files or plugins. For a more complete backup solution, you might consider a third-party plugin like VaultPress, which was created by the Automattic team, or BackupBuddy, by iThemes. Both of these plugins will create complete backups of your entire WordPress site. But BackupBuddy also includes a migration tool, which makes it really easy to move or migrate your site to another web server should you choose to do so down the road. You can visit either of their websites for more details.